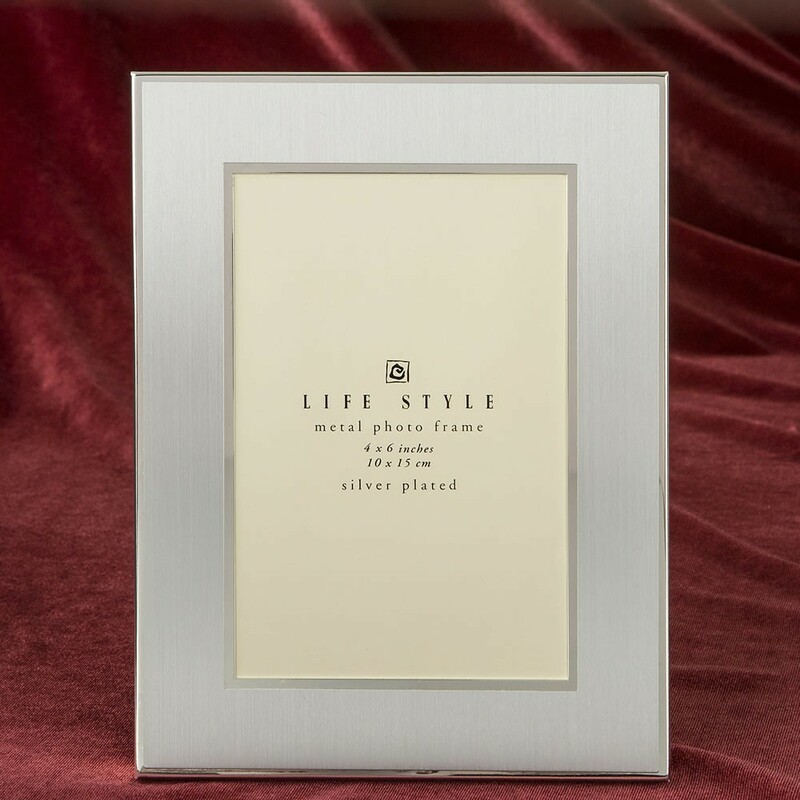 Showcase your sentimental photos in this elegant, chic frame. 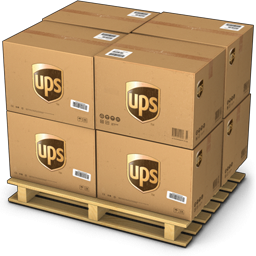 It is ideal for home or office, to keep those treasured memories in sight. 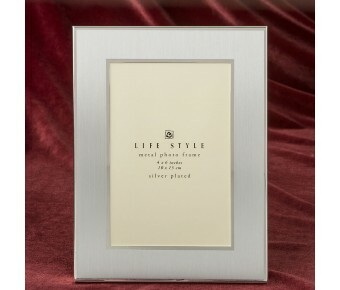 This silver plated frame has a wide border in brushed silver. Around the outer and inner border of the frame is a shiny silver border that adds a stylish finish to this decor piece. The frame has a velvet backing and holds a standard 4 x 6 photo. Stand it either vertically or horizontally to suit your picture. These frames are perfect for engraving and make meaningful gifts that your clients will be thrilled to find when they come into your store looking for something special. Frame measures 8" x 6"
Engrave with a thoughtful message and create the perfect gift!